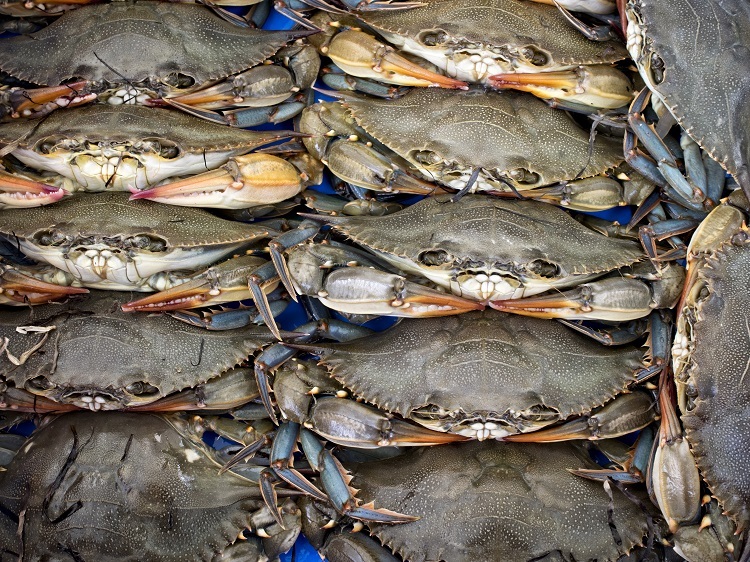 All of our soft crabs are caught locally here in Maryland. This ensures you get a top quality product at the best price. Preparation. 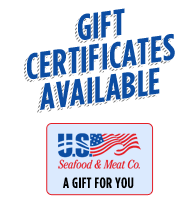 Depending on the time of year soft crabs will either ship dressed or not dressed. If they are not dressed please follow the 3 easy steps on the preparation guide to dress prior to cooking. We clean all of our soft shell crabs for your conveince after the are measured and graded by size. The cleaning process of the soft shell crabs can cause the crab to shrink up to 1/2 inch in many cases. This is normal and the size was accurate before cleaning. We flash freeze our soft shell crabs to ensure safe shipping. The natural process of soft crabs can cause the loss of legs. Legs may also break off during shipping they can still be cooked and served with the soft shell crab. No refunds will be given for soft shell crabs that shrink due to cleaning or lost legs. [FROZEN] Maryland Soft Shell Crabs Primes Measures 4 to 5 inches (Approximately). 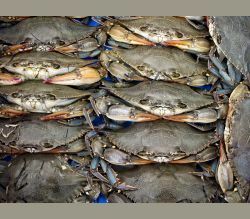 [FROZEN] Maryland Soft Shell Crabs Jumbos Measures 5 to 5 1/2 inches (Approximately).